When Joe was born, I received a couple of products from Childs Farm – a brand that specialises in toiletries for little ones. I wouldn’t usually blog about children’s products, I mean… I’m not entirely sure how many of you would appreciate a foray into mummy-blogging, I actually started Lipglossiping to get *away* from being a Mummy for five-minutes! Having said that, and the reason that I’m even talking to you about this range is because, well… I’ve stolen something from the range for myself. The first thing you’ll notice about Childs Farm products is the delightful packaging, full of playfulness and colour that gives a hint to what awaits you inside. 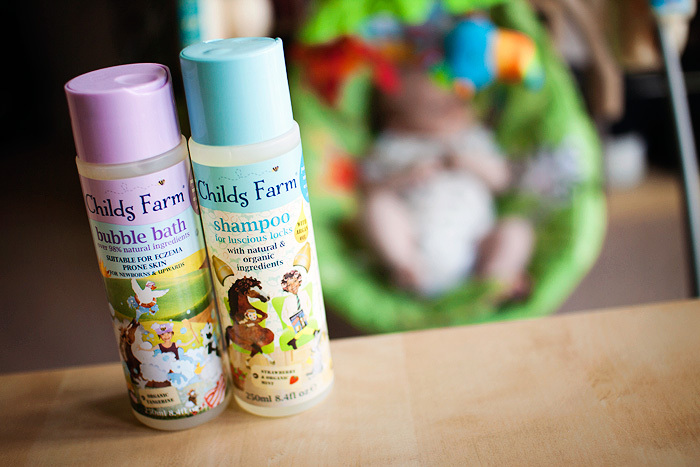 The labels depict real animals and ponies that actually live on Childs Farm, the Hampshire home of the brand’s owner, Joanna. The products have been formulated to be as natural as possible and are free from parabens, SLS, mineral oils, and artificial colours rendering them suitable from newborn-age upwards. The scents are blended beautifully and elaborate on the brand’s styling with funky fusions: the strawberry mint shampoo is summer in a bottle. And this is partially why I’ve stolen it for myself. The other reason is that I’m now 3-months post-partum and that lovely pregnancy mane that took 9 months to thicken is shedding in tear-inducing handfuls. Everytime I change a nappy, wipe a stinky fist, or unload the washing machine… I’m met with strands of my hair. They get everywhere! It’s with this in mind that I’ve been reaching for this gentler shampoo… and also the reason why, when I noticed the brand was currently on offer in Boots, I popped in to restock and grab the detangler spray! Childs Farm products are currently on 3for2 and are available to purchase instore and online at boots.com, priced from £3.99 each.